I know I said that I wouldn’t write any more about my event on the 30th of August this year, but, I did leave myself the ‘out’ of tacking the word maybe on the end of the declaration. I sort of felt when I was released from the hospital last Tuesday. that the silver lining to this whole event was that I’d have more time for writing. Well, yes and no. I do have more time per se, but I haven’t got the energy to partake in much of anything other than recovering. Everything is exhausting. I had an hour long social visit three days ago and I’ve only just recovered. And when I say an ‘hour long social visit’ I am not talking about engaging in a chatty bout of badminton. We just sat in chairs drank tea and coffee (that I made) and when I started looking tired, my guest left. The vast majority of my activity since that day has been sleeping and forcing myself to shuffle from one room to another or going up and down the stairs. I felt incredibly tired and achy. Today, I ran myself a lovely warm bath with just a ‘touch’ of bath lotion. As I slipped clumsily into the warm soothing water, I felt like the world’s oldest foetus re-entering the soothing placental world of everyone’s birth. Once I got my self settled, I engaged in the sort of ‘dozing’ relaxation that allows our minds to freely roam over many sundry thoughts and yet not so sleepy as to nod off and drown. One sentence pushed itself to the fore of my thoughts, “We can make him better. We have the technology.” This immediately knocked me giggling out of my internal reverie. 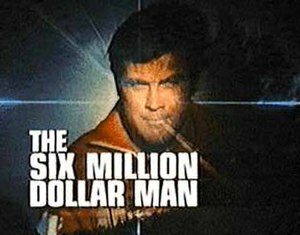 The Six Million Dollar Man was standard TV fare for the 1970’s and everyone I knew ‘back in the day’ could recite the show’s opening verbatim and then go on to make the noises that used to indicate that he was using one of his ‘super’ powers. I had a lovely bit of fantasy going where I could hear the ‘super-power’ noises going on in the background as I walked down the path or trotted up and down the stairs. This fantasy didn’t last long. 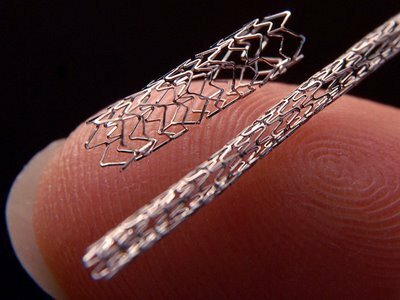 Just long enough, in fact, to make me think of the information I’d gleaned by ‘Goggling’ heart operations and stents. This type of heart surgery is known as the ‘lunchtime operation.’ You can literally get a couple of stents put in, get sewed back up and be back at work before they’ve noticed you were gone. Pretty amazing. Our technology has grown in leaps and bounds and I think even Steve Austin would be pretty impressed by this information. Of course in my case, it was very similar to doing massive redecoration in an old building. Sort of like going into an older building and deciding to remove a wall or reposition a door. It is almost inevitable that once you’ve moved the wall or door, you find something out that suddenly needs to be fixed. In my case, they found a couple of things. This turned my simple ‘lunch-time‘ surgery into a completely different kettle of fish and thus increased my recovery time. But, ‘hey-ho’ such are the vagaries of life. 2012 has been an odd year for me and my little family. Just as it looked like I was going around the corner to full recovery… bam! The next phase in my life of ‘interesting times.’ I cannot grumble though. I have through my blog, met some lovely people, interesting people and the odd ‘famous’ person. I have discovered that I can still write. In fact somewhat better than I have any right to be. (sorry for the pun, I could not resist) I have found that there are people out there who share a similar love for movies and books and the creative process. I have also found a lot of folks who are going through the same journey that I am going through. No, not the heart attack health issue, although quite a few folks have been there in one way or another. I’m talking about the journey of re-discovering themselves and where they might be heading with this newly acquired knowledge. I would write much more about the event itself and probably will. When you spend a lot of time resting you can also spend the same time reflecting. I have done a lot of both. It is something, I think, that I must have to do. 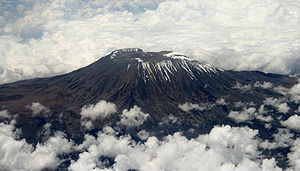 Writing reviews, at the moment, makes me feel like I am climbing Mt Kilimanjaro in a party of one. Yet when I sat down in front of my battered laptop to write this post, my fingers moved like lightening and I could not get the words down quick enough. Still I am not fussy. Writing is writing after all. As long as I can still do it, I will.